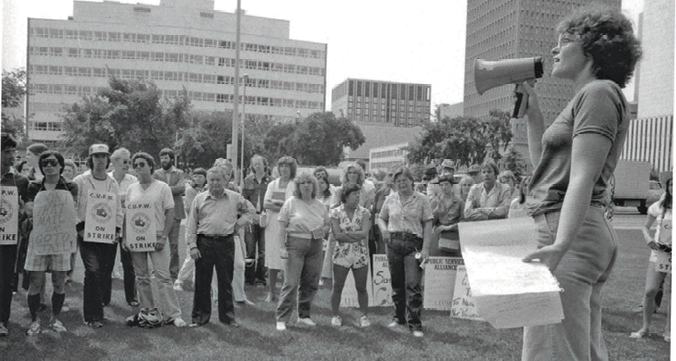 A July 11, 1981 demonstration in Edmonton, Alberta. CUPW/AUPW. Women in Canada had paid maternity leave since 1971. CUPW in 1981 won 2 weeks of employer paid top up. Pingback: Permaculture for the People! Episode 5: Workers of the World Unite: we have a world to win! !